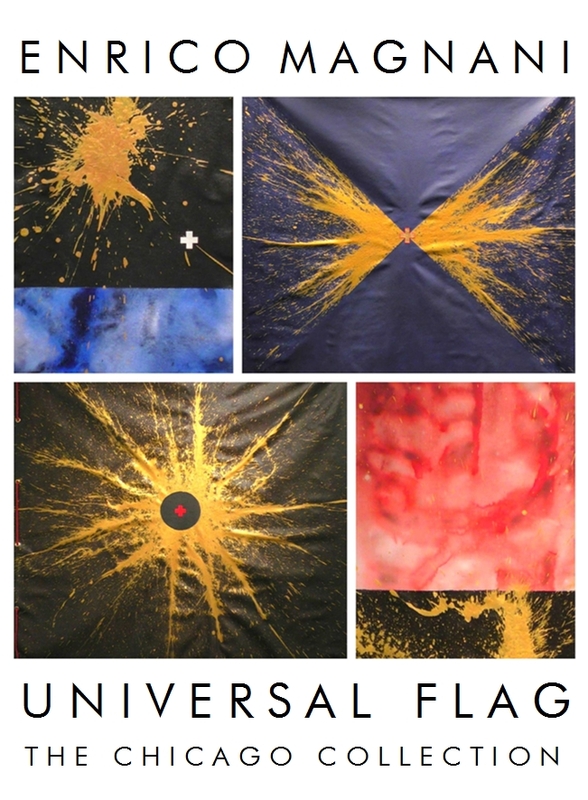 “Universal Flag” is a series of artworks done by Enrico Magnani on purpose for the Chicago exhibition. It aims to summarize the key elements of the universe in which all people can identify with. A symbol to unite mankind. 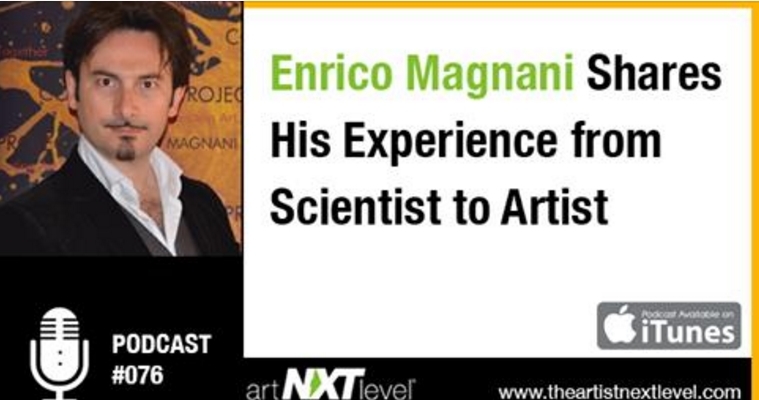 Recalling artistic gestures based on the theme of the flag such as Jasper Johns and Alighiero Boetti, Enrico Magnani wants to eliminate the dual meaning of division and union -ourselves and the others- that the flag represents. Universal Flag aims to transcend the duality and division of this world to unite opposites by giving a connotation of universal unity. Each flag can be considered a miniature of the universe consisting of timeless and universal symbols: the four elements, chaos, order, the origin, and life, which have always been present in all the cultures of the world. The circle and the sphere, symbol of the perfection of the One, from which originates life, opposing the primordial chaos; the Greek cross as symbol of life and order. All these forms alternate in a cosmic dance on a ground composed with the colours which, in the traditional symbolism, are associated with the four elements building the universe: brown for the earth, blue for the water, white for the air, and red for the fire. Let's enjoy, all together, the cosmic dance of our universe!